Cypress Inn offers a great combination of local delicious ingredients and family recipes. Notable among their menu are bran muffins, yeast rolls and a recipe of chicken salad. The company even has an online order placing service. Their most popular dishes are served on platters that are great for holding office or home parties. They even offer a splendid service of gift cards that can be redeemed at any center in exchange of delicious food. Apart from breakfast, lunch and dinner menu, the restaurant also has an exotic collection of cabernet blends and cabernet sauvignon wine. They serve both vegetarian and non-vegetarian dishes. There are currently 0 consumer reviews about Cypress Inn available. Share your review. 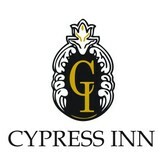 Please take a note that you are about to post a public review about Cypress Inn corporate office on CorporateOffice.com. This review will be public, so please do not post any of your personal information on this website. If you would like to contact the corporate offices of Cypress Inn, please use their contact information such as their phone number, website, and address listed above to contact them. However, sometimes staff from Cypress Inn headquarters do read the reviews on this website.